21 people are said to have died in Yobe State after an attack by Boko Haram terrorists. The insurgents were said to have opened fire on the victims on a highway along Bultaram Village over the weekend. 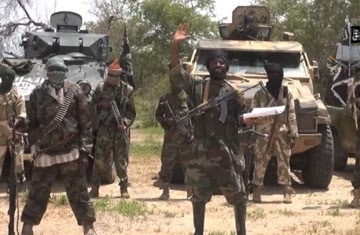 The deceased reportedly fled their communities for fear of the terrorists and had been living in Damaturu until they decided to return home for supplies and were caught by the Boko Haram members. “They opened fire on all of them, we believe they cannot be soldiers but insurgents dressed in military camouflage,” a source told Punch. The victims were said to have returned to their villages after they heard that the area had been recaptured by the Nigerian Army. “We all received the good news that the military had taken over the place. That is why they went,” an indigene, who chose to remain anonymous, told Punch. Nigerian soldiers were recently forced to retreat from Sambisa Forest, a Boko Haram stronghold after three people were killed in a landmine explosion.